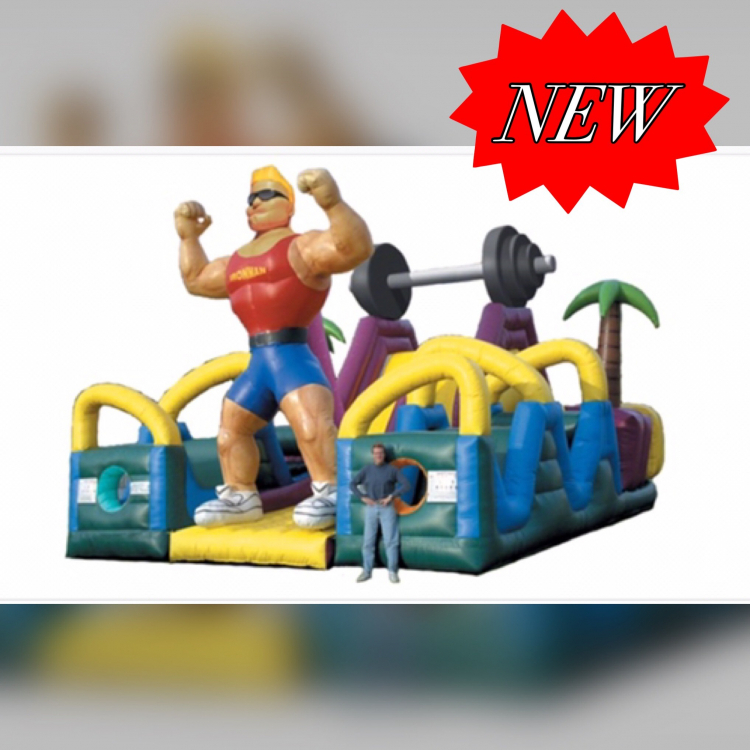 Challenge your friends to the largest obstacle challenge with our Ultimate Iron Man Challenge inflatable obstacle course. 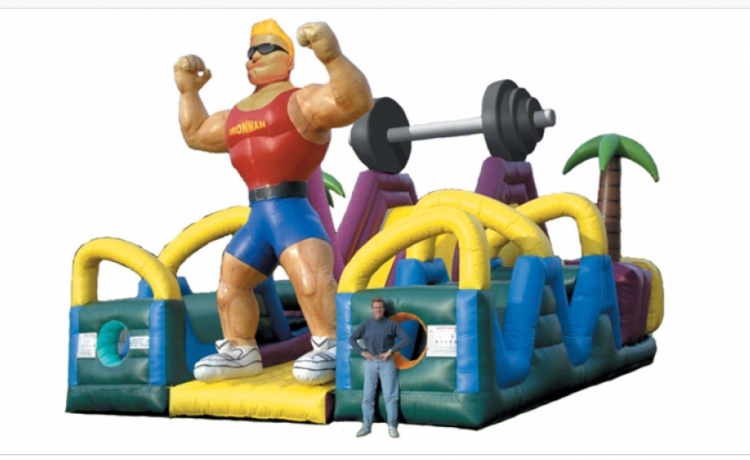 Cheer on the two opponents as they compete by racing through 85' of obstacle walls, squeeze plays, tunnel crawls and more. 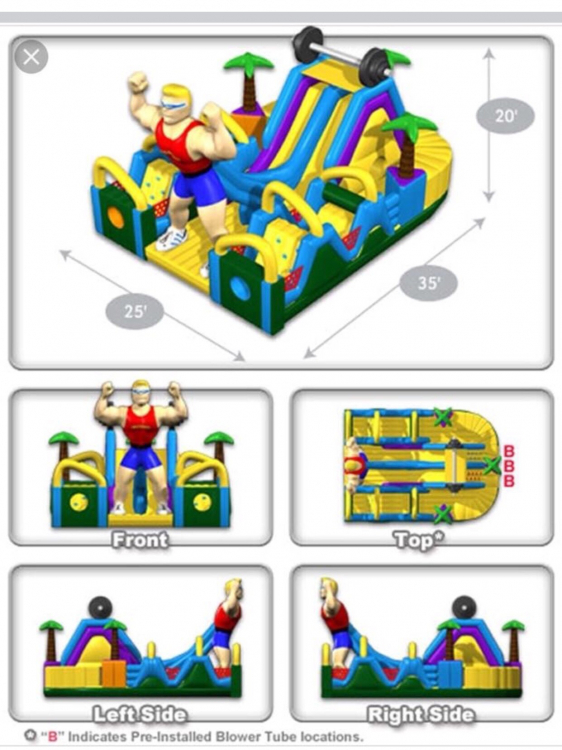 Concluding the obstacle is a wall climb followed by a giant slide and a run through the legs of the IRON MAN to WIN. This giant obstacle challenge is sure to test the endurance of all who dare to take the challenge.